A few months ago, Counter asked me to reflect on my recruitment experience and why I chose to spend my 2L summer with them. I wrote “The Environment that Will Grow Tomorrow’s Best Litigators”. I am now close to finishing my 2L summer position and, as my farewell present, they asked me to write another article so that you can know whether Counter is the right fit for you too. So here we go. What did I learn over the past three and a half months at Counter that I didn’t know when I accepted the position? I’ll start with my expectations. When searching for a 2L summer position, I knew that I wanted to join a team that would give me the training and opportunities to make me the best lawyer ever. I gathered as much information as possible before making my choice. I interviewed lawyers and former students, did a lot of reading, and made a bunch of pros-and-cons lists. Where would I best learn and grow? Who has the best team? Are the people smart and good people? Is the practice area too narrow? Am I going to have fun? I was hopeful that Counter was the right choice, but I couldn’t know for sure. So I accepted a 2L summer student position at Counter, crossed my fingers, and jumped in. One thing I didn’t know about Counter before I got here was how different teamwork looks when everyone you work with holds themselves (and each other) accountable for producing the best work, wants to help you learn how to produce the best work, and is not internally competitive (at least, not in a toxic way – although I am currently training to participate in an intense latte art competition that involves firm-wide betting and a custom scoring rubric). Counter’s culture is not accidental; sure we have a strong team of motivated and positive people, but we are also always learning about ways to become better so that everyone has the direction and support they need to perform to the best of their ability. We end up doing weird things like spend our weekends thinking about how we can replace old organizational structures with newer, better ones. I definitely did not expect to start long, honest, and deep conversations (or trap others in them) while heading out the door on Friday nights that would leave us all feeling inspired and would regularly cause us to rethink how we perceive the world. 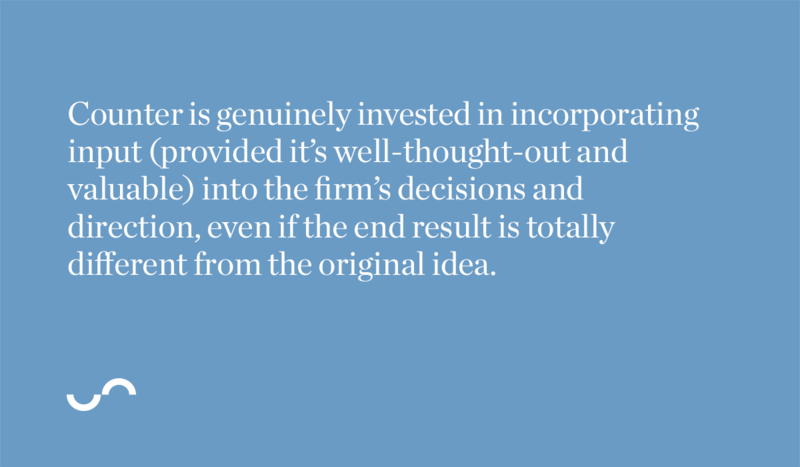 Counter is genuinely invested in incorporating input (provided it’s well-thought-out and valuable) into the firm’s decisions and direction, even if the end result is totally different from the original idea. For me, this meant that my mentoring and reverse mentoring at Counter (yes, Counter forced me to mentor Peter) left me with food for thought that I ended up serving to unsuspecting individuals at family barbeques, brunches with friends, etc. There are high standards around here to do great work, but everyone is supportive and invested in helping you grow. Although the team has no chill when it comes to delivering quality legal work, no one hesitated in giving me interesting and high-level work. 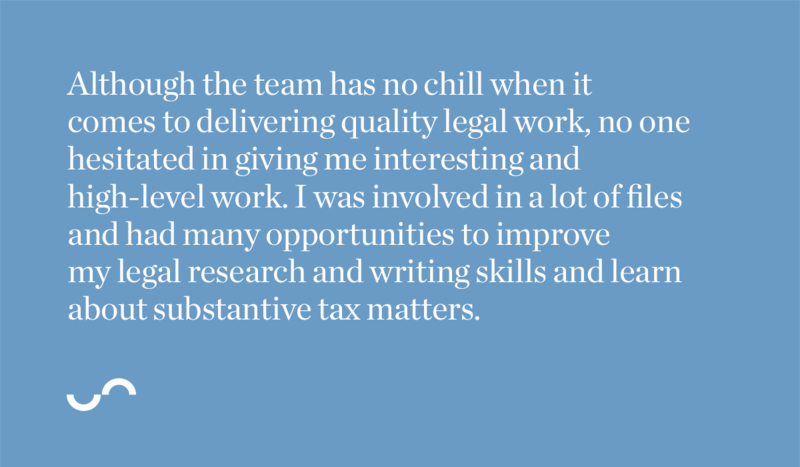 I was involved in a lot of files and had many opportunities to improve my legal research and writing skills and learn about substantive tax matters. For example, I researched and wrote memos on a lot of really interesting and specific issues relating to client files; drafted documents to send to the government, court, and clients; and learned about a number of different areas of law that interact with tax. 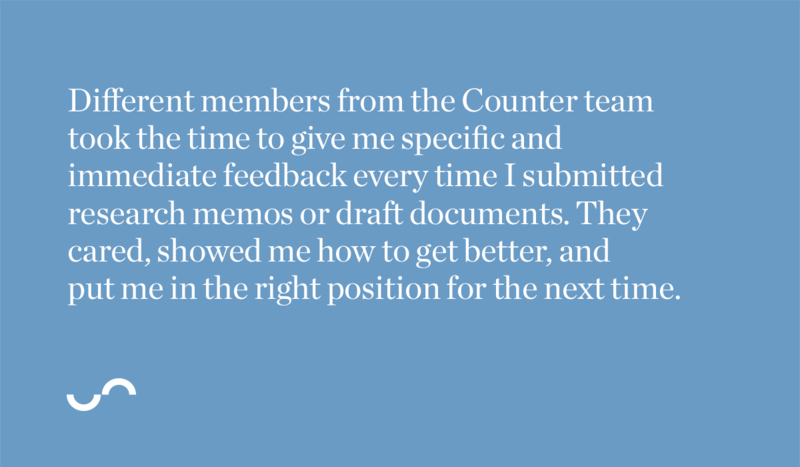 Different members from the Counter team took the time to give me specific and immediate feedback every time I submitted research memos or draft documents. They cared, showed me how to get better, and put me in the right position for the next time. My research and writing skills improved, which was important to me because, let’s be honest here, no one will be hiring me for my legal expertise for at least another few years (research and writing are also just essential legal skills). I wanted to strengthen the skills I do have to offer. 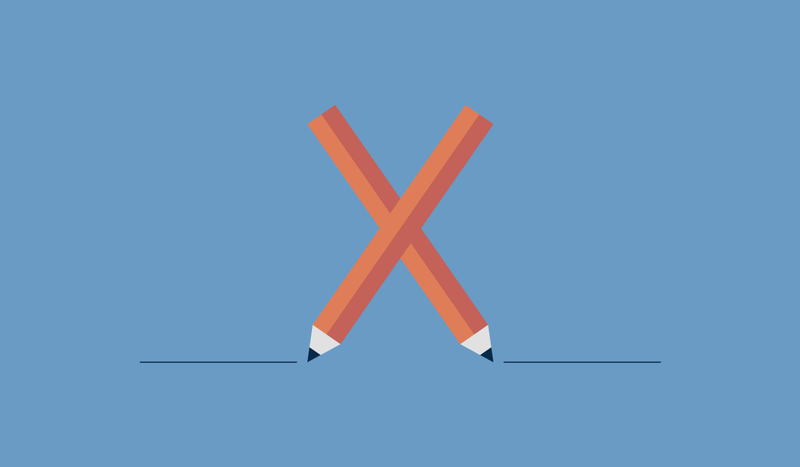 While I appreciated receiving great training and feedback from legal professionals who are more experienced than me, I was surprised and delighted when they actively sought out my feedback on everything from recruitment to our internal writing guide. I was even more surprised when they were excited to receive my feedback and implemented some of the changes I suggested! For example, we had an after action review after I finished onboarding so that any kinks I encountered in the process could be smoothed out for the next new recruit (i.e., our fabulous Joyce). I enthusiastically sought exposure to different experiences to learn and grow. Counter actively tried to include me in every opportunity and gave me some really unique experiences. Quite frankly, these experiences were just the cherries on top of an already amazing summer. For example, I attended a settlement conference at the Tax Court on my second day! I’m so grateful that Counter trusted me to follow all the proper etiquette and decorum that being in court and interacting with clients demand. Attending the settlement conference also allowed me to see our lawyers “in action” and to gain a deeper understanding of the tax litigation process, the legal profession generally, and, more specifically, that client’s file. Being able to listen to opposing counsel’s arguments and counterarguments and to observe the judge’s responses helped me later on when I drafted a settlement offer that we sent the Department of Justice’s lawyer. Another uniquely Counter experience was my opportunity to act as a guest host on the Building New Law podcast in my second week. In “Partnering with Millennials to build better law firms”, I learned new things about the law from a practical perspective and contributed to a discourse on the future of my chosen profession. It gave me the opportunity to try something totally new that pushed me out of my comfort zone and helped me grow. The podcast was another great (but nerve-wracking) experience and another example of how dedicated Counter is to giving its students a truly singular opportunity. I really enjoyed my time at Counter and am confident that it is the right place to build my legal career. I wouldn’t have had such an amazing experience anywhere else. In a short time, I became another professional collaborating and adding value to the team, and constantly looking for different ways to do the best possible work. And the best part is that – after I finish my Tax Court clerkship – I’ll rejoin Counter as a first-year associate to continue the journey. If you have any questions about what it’s like to work at Counter, read our Passion & Culture blog and our Q&A page; we really enjoy when we get questions through the Ask us Anything form. And, if you want to hear another perspective, you really ought to talk to James (2L turned articling student turned first-year associate extraordinaire) for five minutes because he is ridiculously competent and knowledgeable and always willing to help. He also wrote an article about articling at Counter, so you can check that out too.